National Geographic, recognized worldwide for its unparalleled commitment to natural history storytelling and cinematic craft, unveils its six-part saga Hostile Planet beginning Monday, April 1, at 9/8. The series premieres globally in Spring 2019 in 172 countries and 43 languages. This is not your mother’s nature series. Executive produced by Academy Award-winning cinematographer and director Guillermo Navarro (“Pan’s Labyrinth”), Emmy-nominated producer Martha Holmes (“The Blue Planet”), Emmy Award-winning Tom Hugh-Jones (“Planet Earth II”), BAFTA winner Delbert Shoopman (“The Island”) and BAFTA winner Bear Grylls (“The Island”) – who also serves as the series’ host and narrator – Hostile Planet draws attention to the most extraordinary — almost supernatural — accounts of animals that have adapted to the cruelest evolutionary curveballs. The series zooms in on the world’s most extreme environments to reveal the animal kingdom’s most glorious stories of survival on this fast and continuously shifting planet. Hostile Planet is the next generation of wildlife filmmaking that builds a compelling, current and dramatic narrative through each episode, establishing characters with its six distinctive biomes and the animals that call them home. Hostile Planet acknowledges the world is rapidly changing and that the challenges animals face are different than how they’ve always been. Each titular episode – mountains, oceans, grasslands, jungles, deserts and polar – navigates the brutal conditions endured by some of the most complex, unrelenting and awe-inspiring species on the planet. As animals face an overwhelming host of challenges including punishing weather, intense competition for resources and constant predator-vs.-prey conflict, life still finds a way. 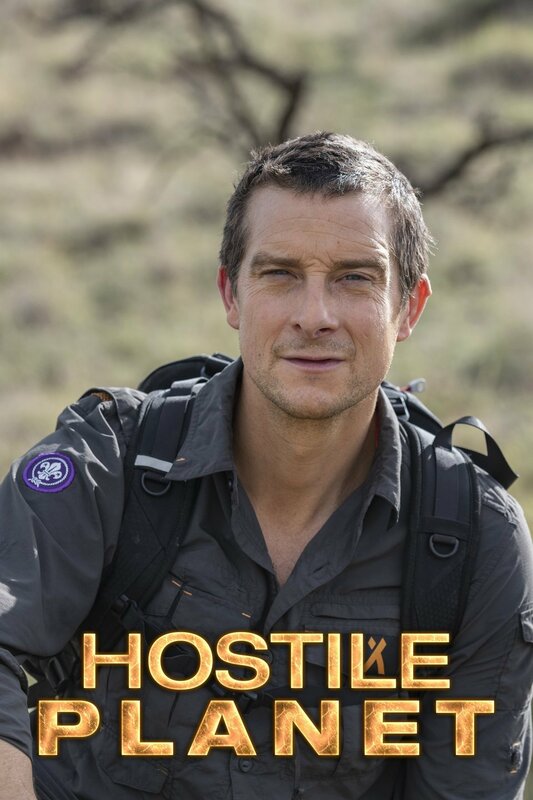 Please contact me for screeners or interview requests with Bear Grylls. The highest mountains on Earth are home to snow leopards, golden eagles, mountain goats, barnacle goslings and gelada monkeys. But only the toughest can endure the extreme weather, scarce food supplies and limited oxygen on these peaks. Showcasing never-before-filmed animal behavior using new technology to capture fresh angles and scales, Hostile Planet provides unique access to one of the most extreme environments on the planet. Step inside the most frigid habitat known to Earth – the poles. Here, the planet’s ultimate survivalists include whale-hunting polar bears, leopard-seal dodging penguins and a pack of Arctic wolves that bring down a pair of musk oxen. Polar species have evolved bodies and behaviors that help them combat the intense hostility of their habitats. But now, their world is changing so fast – literally breaking apart under their feet – and their resilience will be tested beyond the extreme.